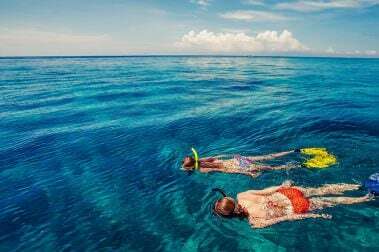 A primary attraction for most visitors to Hawaii, the pristine waters of the Pacific Ocean and sparkling Hawaii Island beaches provide world-class diving, snorkeling, surfing, water sports and opportunities for sightseeing and relaxation. 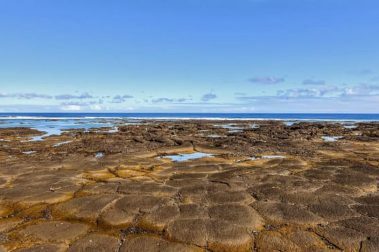 Venturing around the Big Island rewards beachgoers with black and green sand beaches and stunning lava rock tide pools and coastline as far as the eye can see. The beaches on the Big Island are truly spectacular. The finest white, black and even green sand beaches are around every corner, beckoning you to come explore their shores. 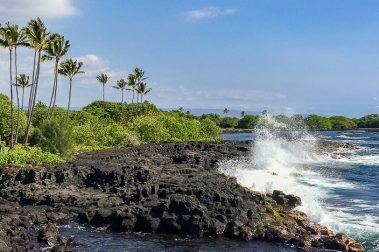 The sheer amount of undeveloped coastline on the Big Island lends itself to less crowded destinations and plenty of adventure in your beach going activities. 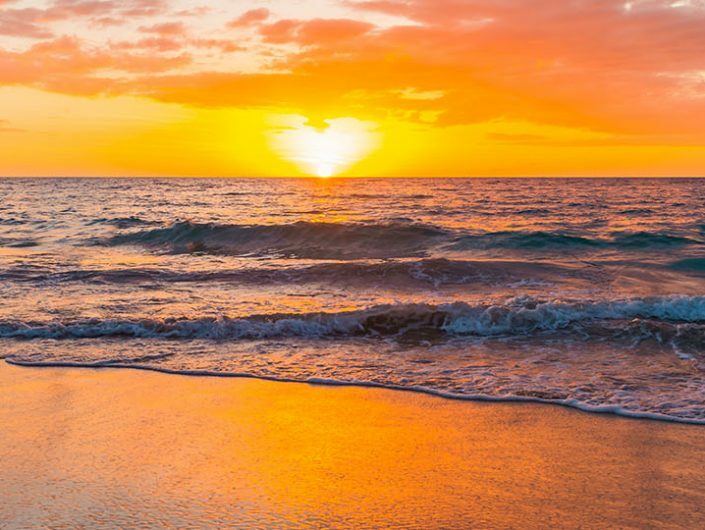 Be sure to visit the stunning Hawaii Island beaches along the Kohala Coast with their immaculate white sand, crystal clear waters and sun soaked shores, you’re sure to have a fun filled day. From famous white-sand crescents like Hapuna beach, that regularly make world “top-beaches” lists, to secluded gems like Makalawena beach, that require a bit of effort to reach their postcard-perfect shores, Big Island beaches offer variety and beauty around every corner. 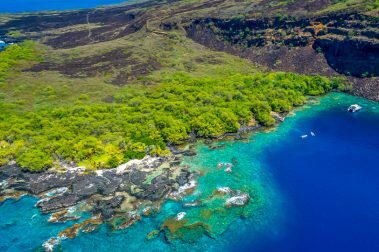 Travel down the Kona coast and put on your snorkel gear to explore some of the most pristine marine and reef environments in the world at Kealakekua Bay or Honaunau Bay (Two Step). Then continue down to the Kau region on the southern tip of the island to see Ka Lae (South Point) and some of the most unique and colorful beaches in the world. 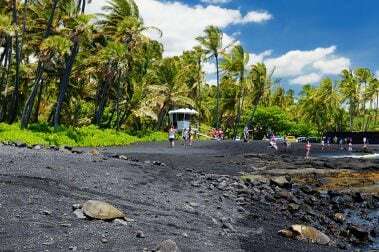 Punaluu Black Sand Beach is a favorite for seeing endangered Green Sea Turtles and sparkling black sand. 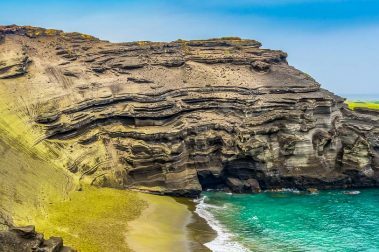 While those up for a remote adventure will want to hike to Papakolea Green Sand Beach and bask on it’s gorgeous, olivine sand. 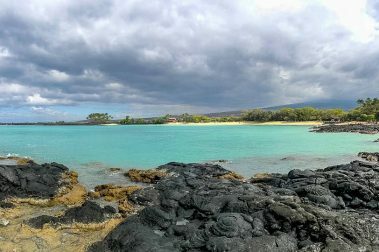 The eastern Hilo side of the Big Island offers many family friendly beach parks where you can swim and snorkel with turtles and colorful reef fish. The many inlets and protected bays also provide for good paddle boarding opportunities. When the surfs up on the Big Island, more experienced surfers can catch waves at several great surf beaches like Honoli’i Beach or Pohoiki (Isaac Hale Beach). 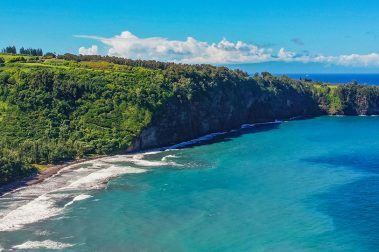 Both the Hamakua and Puna coastlines, while inherently different due to their geography and age, have several things in common. 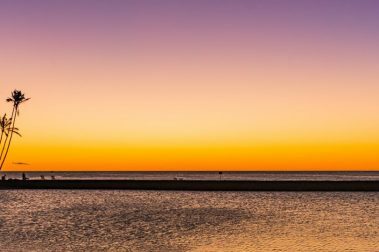 They are both rural, rugged coastline with incredible cliff faces and incalculable photo opportunities. 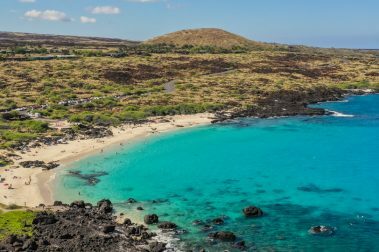 With a few exceptions, the Hawaii Island beaches in these regions aren’t very water sport friendly due to the strong currents and pounding surf, but the sightseeing created by these conditions is unparalleled. Hiking and scenic drives along either of these shores won’t disappoint. 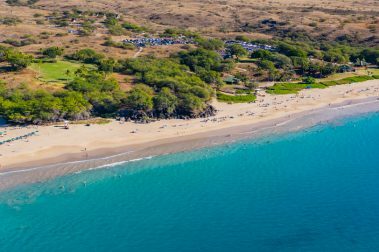 Hapuna beach is an iconic white sand beach on the Big Island of Hawaii that consistently ranks on the top of most best beaches lists from around the world. A favorite for Big Island locals, this is a stunning, remote beach with gorgeous white sand and incredible views. 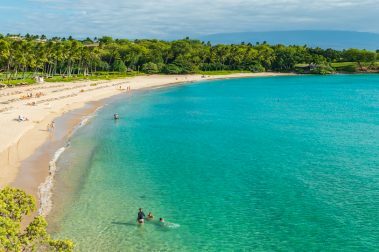 On the Kohala coast you will find the white sands of Kukio Beach where travelers can enjoy sun, sand and waves and likely spot Green Sea Turtles. 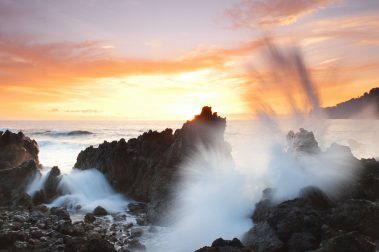 The Big Island is world-famous for its pristine multi-colored beaches, explore more with our comprehensive beach guide. 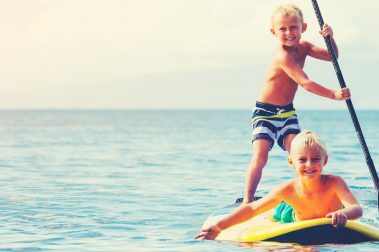 An easily accessible hotspot for snorkeling, surfing, and swimming, Kahalu’u Beach Park is a great destination for family-friendly fun on the Big Island’s sunny Kona Coast. 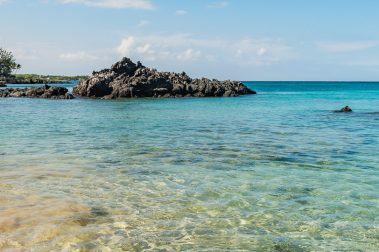 Located in the heart of Kailua-Kona, Kamakahonu Beach is the perfect spot for a quick beach trip between other activities during your Hawaiian vacation. 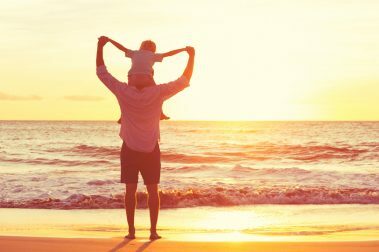 With gentle waters and a beautiful white sand beach this classic Hawaiian beach park makes for a fun family adventure. Kikaua Point Beach’s shallow, sandy ocean bottom is ideal for small children learning to swim, snorkel and for novice swimmers. 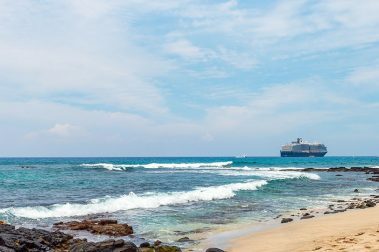 One of the finest beaches in Hawaii, stretching over a quarter of a mile with sandy shores perfect for swimming and playing in the crystal clear water. 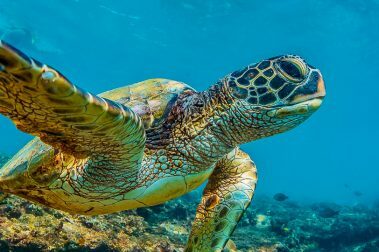 The Hawaiian green sea turtle, or “honu” are abundant in Hawaii. 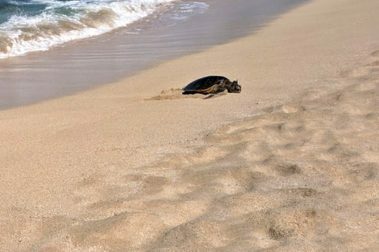 If seeing a turtle is high on your vacation itinerary, these beaches won’t disappoint. 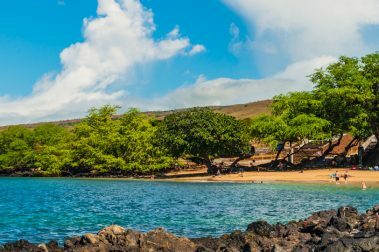 A place of both historic and natural importance, Kealakekua Bay along the Big Island’s western coast is a remarkable spot to hike, snorkel and see the sights. This natural hot pond on the Big Island of Hawaii in rural Puna makes for a warm, relaxing time for the whole family to enjoy. 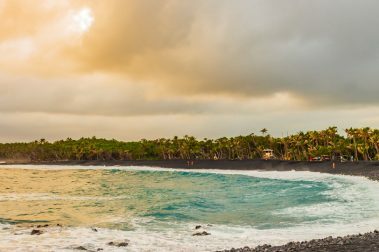 A vast Beach Park with plenty of amenities to enjoy a fun Hawaii beach day and a new black sand beach that formed from the 2018 Kilauea eruption. 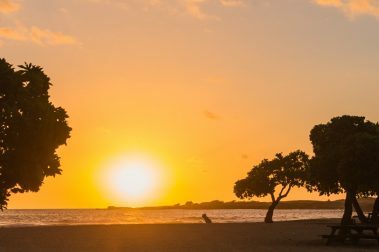 With its picturesque bay and classic palm tree dotted shoreline, beautiful A-Bay is one of the Big Island’s most stunning beaches to take sunset photos. 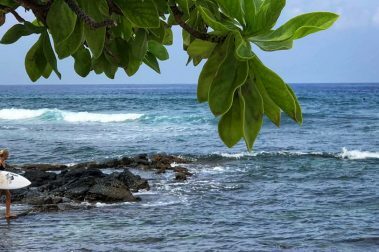 A cozy, little beach along Ali’i Drive in Kailua-Kona that makes for a perfect beach break during your day. Kohanaiki Beach Park, also known as Pine Trees, is a popular beach among the local surfing community. 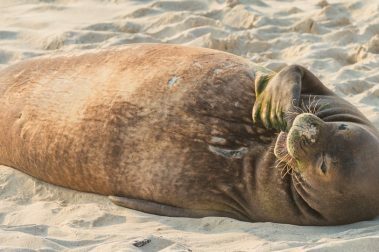 The Hawaiian monk seal, the official state mammal of Hawaii is the most endangered pinniped species in the United States. 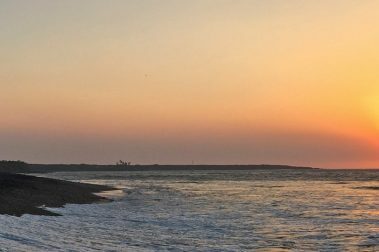 Old Kona Airport Beach Park is a comprehensive recreational area with outstanding beach access, plenty of parking and covered picnic tables with incredible sunset views. 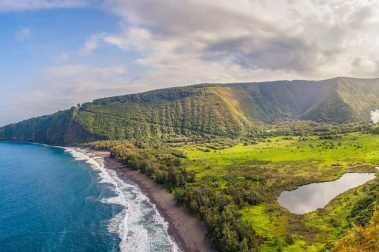 The breathtaking Pololu Valley features a steep hike to a memorable black sand beach that’s perfect for photography, exploring and relaxing. The Waipio Valley black sand beach on the Northern coast of the Big Island is a beautiful scenic destination with fine black sand and crashing waves. 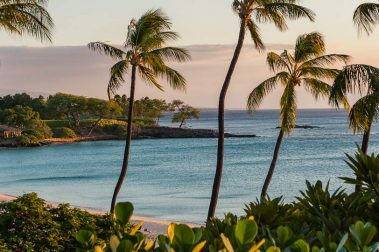 Kiholo Bay located along the Kohala Coastline is a beautiful bay with ancient Hawaiian history and marine life. 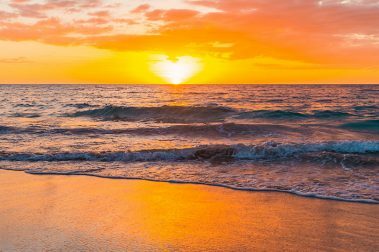 While Hawaii Island offers a huge variety of beaches to enjoy, several Big Island beaches regularly make the ‘best beaches in the world’ lists. Consider using some of these reef friendly products and practices when you’re visiting Hawaii, our reefs, fish and community will thank you! If you’re looking for a Big Island gear rental, look no further than our list of great rental companies. 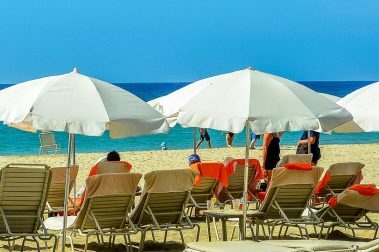 Dedicating a full day to lounging and playing on the beach is a must-do for any Hawaiian vacation, read on for tips to make it the perfect day. 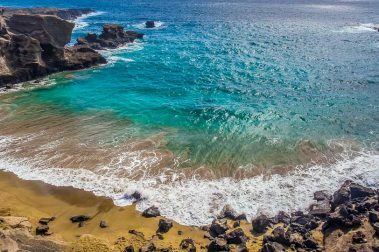 With its abundance of easily accessible snorkeling, beautiful white sand, natural shade, and gentle waves Waialea Bay is sure to be a favorite beach. 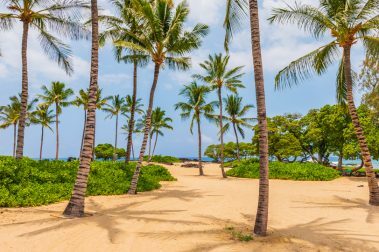 One of the Kona Coast’s most prized beaches lies hidden just north of the Kona International Airport in Mahai’ula Beach, but you’ll need to make an extra effort to reach it. 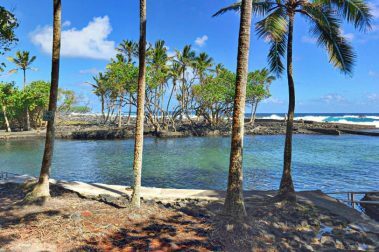 A small beach park located north of Na’alehu on Hawaii’s Big Island, the Whittington Beach State Park with the accompanying Honu’apo Bay and Fish Ponds is a great natural adventure. 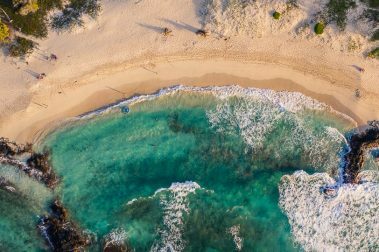 Home to the annual Magic Sands Bodysurfing Championship, White Sands Beach Park is a versatile Hawaiian beach with easy access to surfing, swimming, and snorkeling opportunities.